Basic rotating laser level for interior use, from Leica Geosystems. Complete package for interior works, with remote control, wall mount bracket and target plate. 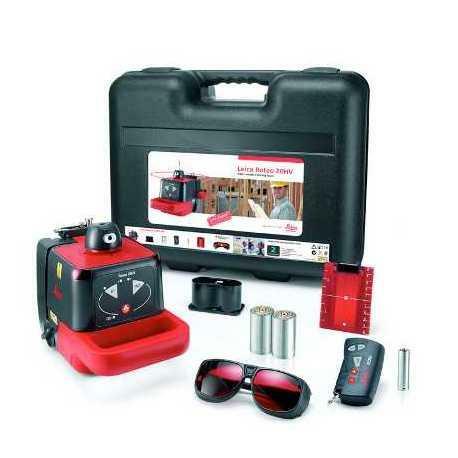 package includes: Leica 20HV rotating laser, manual wall mount bracket, RC350 remote control, AA battery for remote control, battery holder for alkaline batteries, red target plate, red laser glasses, batteries for laser.